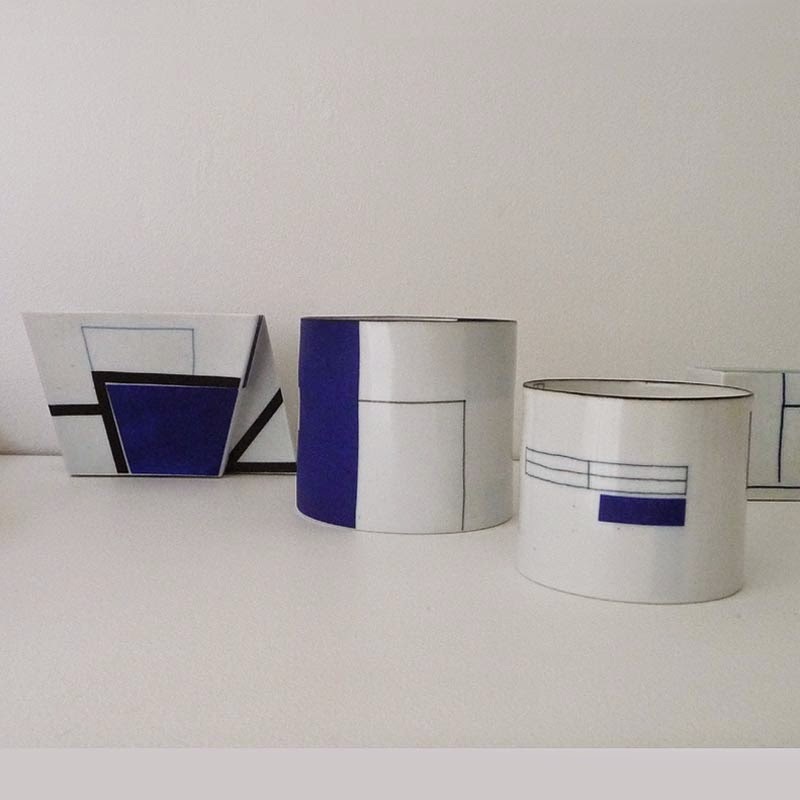 Contexts - assemblage of ceramic pieces in time and space..
Bodil Manz has been called the Graphic Artist of Ceramic Art par excellence, whether she draws in a slender, delicate line as a personal signature, or uses coloured ceramic transfers in an infinite variety of richness. 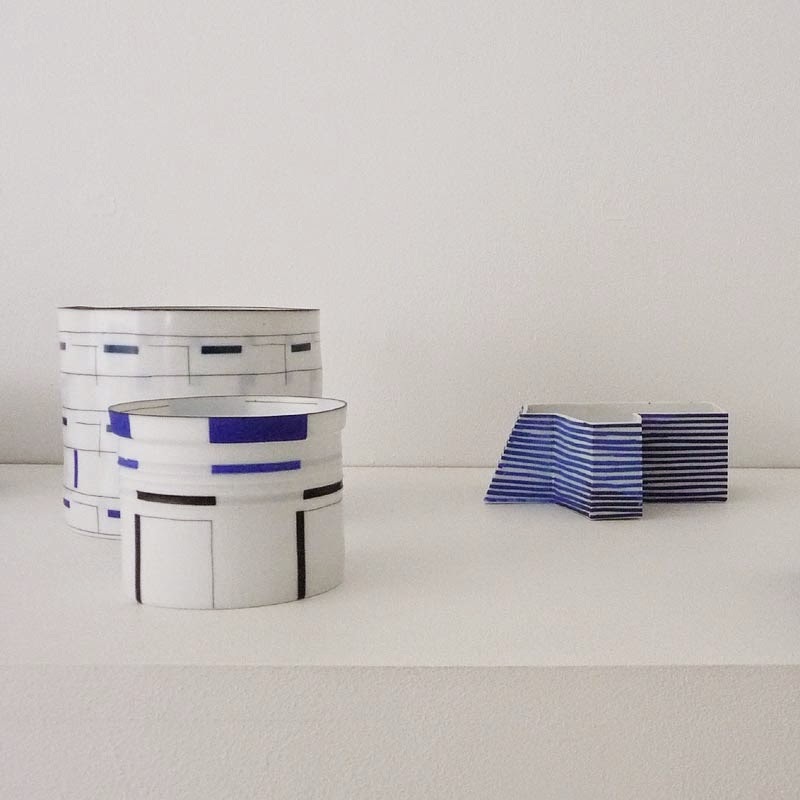 For this exhibition Bodil Manz has identified new contexts, composed her known types of forms, images and ideas in a exciting assemblage together with new pieces. 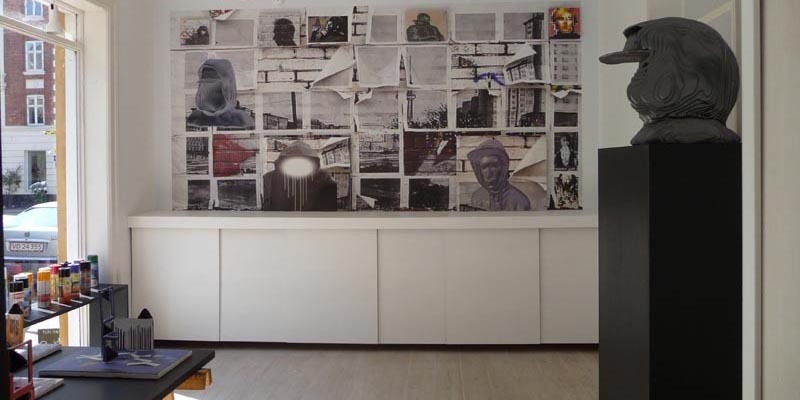 The work expresses cultural reference and relates to places and times, reflecting a timeless sense of clarity. 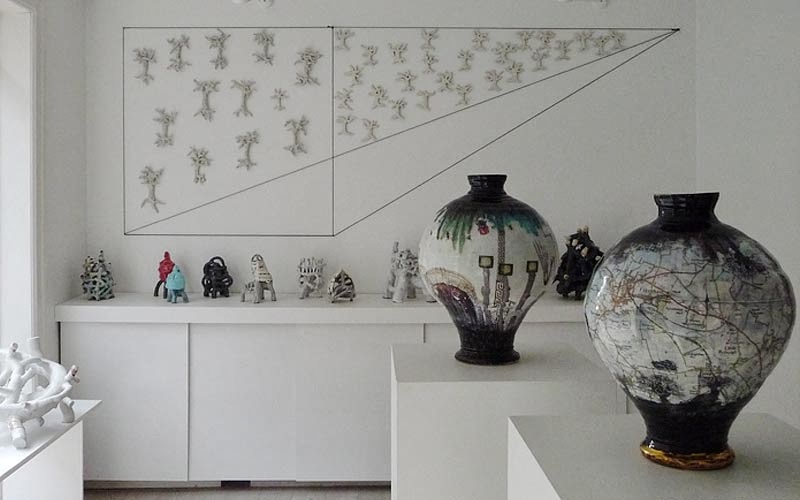 Compositions, translations reveal her form and material curiosity, an analytical variance of ceramic materials and firings, - where each peace can be seen in the light of opposite philosophies. 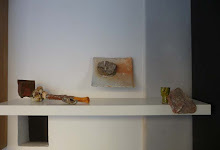 Yet her work binds together - in an indefinable sense of time and space. 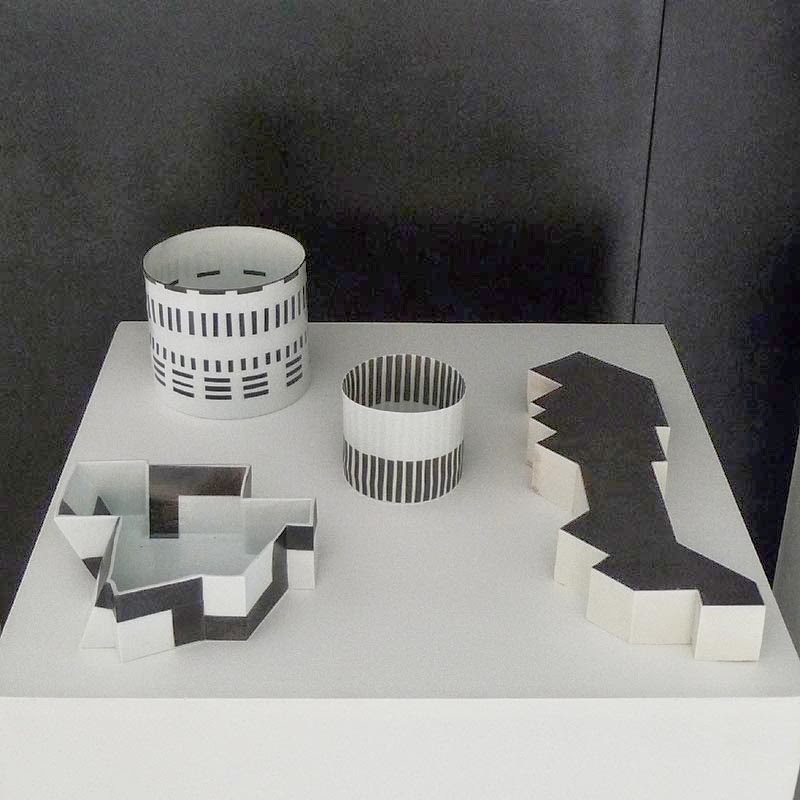 Graphic lines dissipate the transparency of cylindrical shapes and create geometric plays of shadow that equal architectural built sculptures, in connection with natural raw organic sand casts where refined shades erupt through unpolished surfaces. 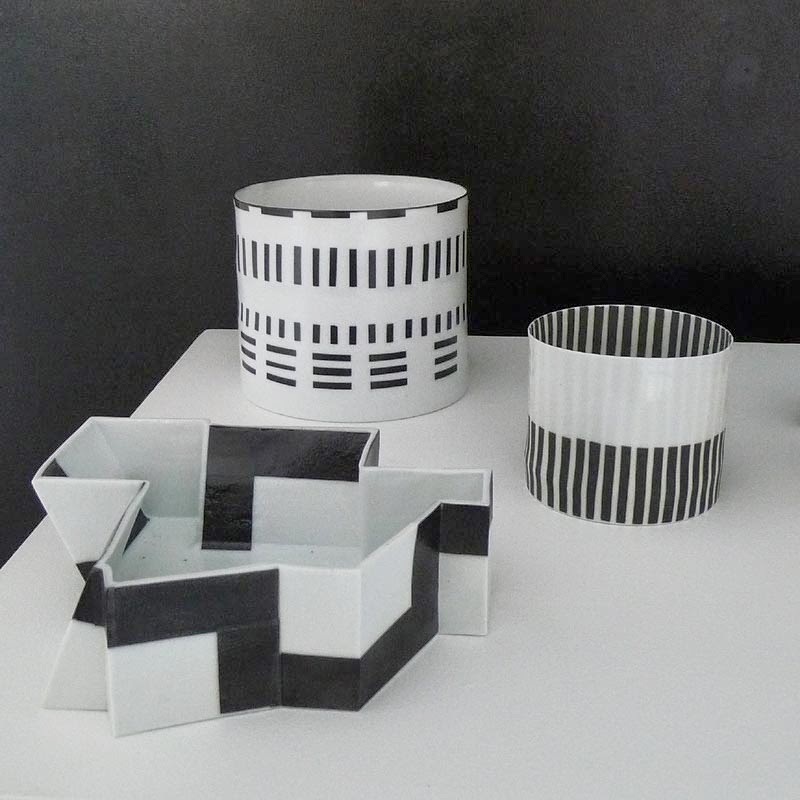 Refinement and elegance meet with a related series of angular shapes, brightly coloured lines and planes. 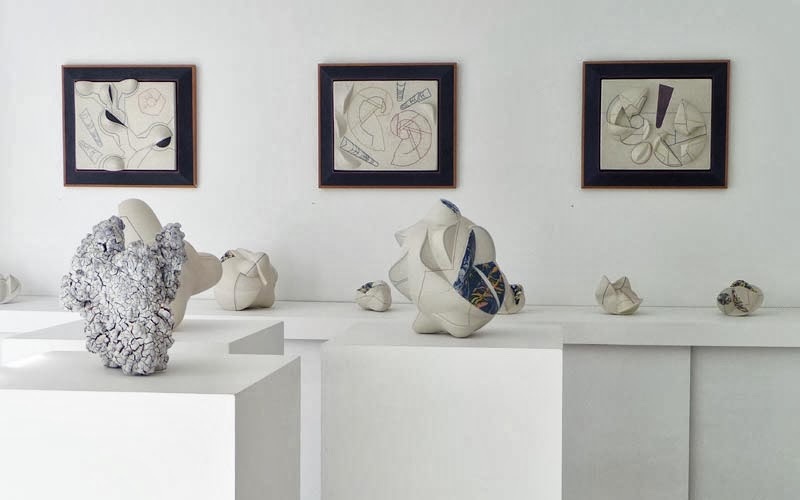 The pieces' narratives condense a lifetime of work and reflect multiple contemporary expressions and inner visions reflecting a personal aesthetic, a sensitive sensual force and a sophisticated character of resoluteness. 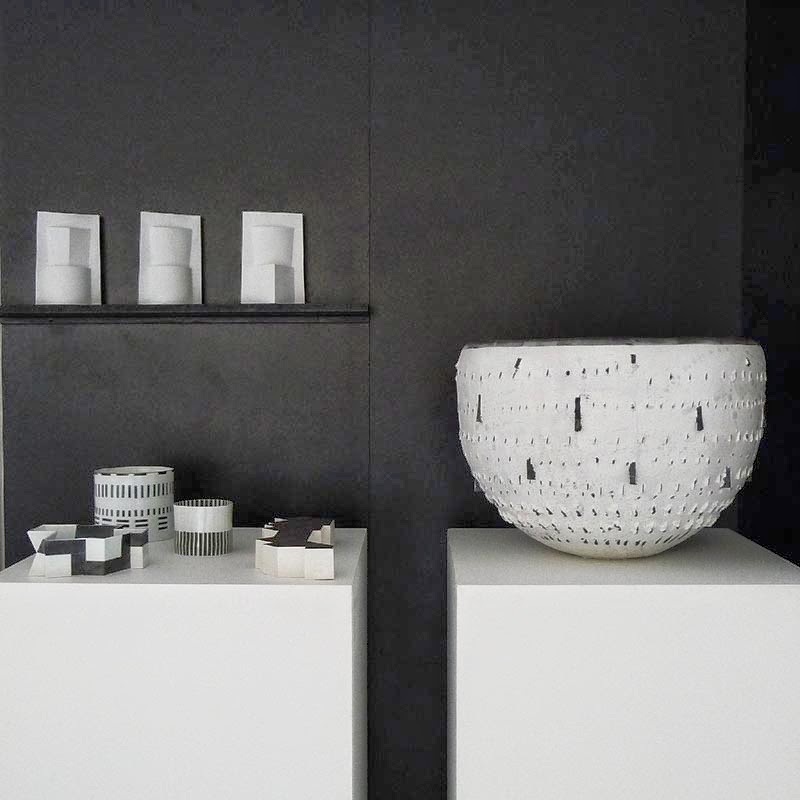 Bodil Manz belongs to the international elite of ceramic artists represented in major museums and private collections worldwide. 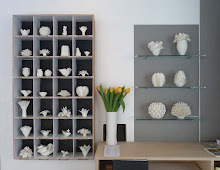 Her work is characterized by a continual exploration and experimental activity, that among many other projects have resulted in wall installations, sand-cast porcelain pieces and architectural sculptures. 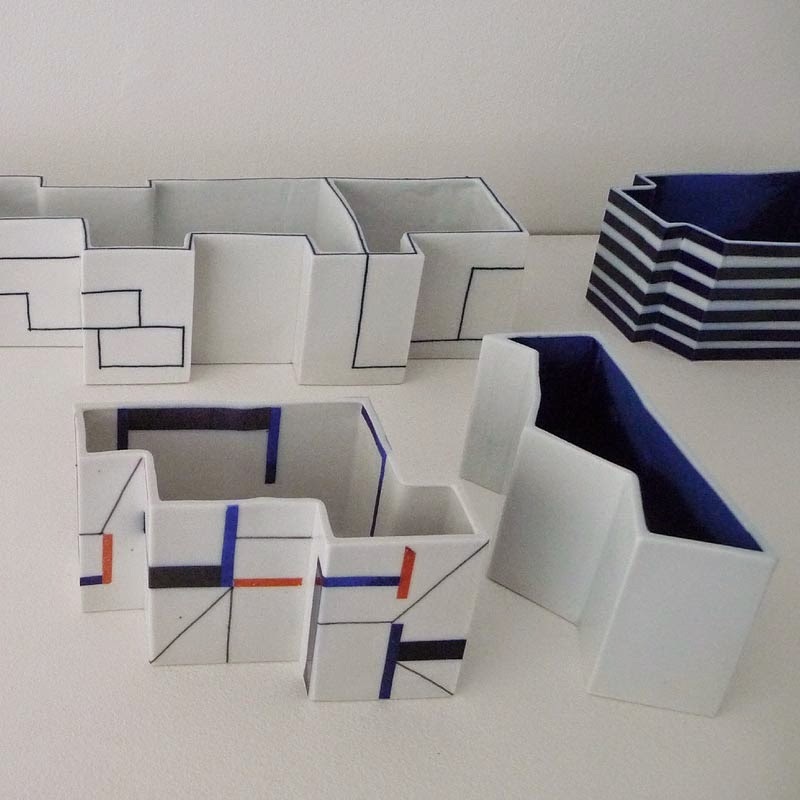 Bodil Manz masters the transformation of a geometric-abstract thoughts of mind from surface decoration to three-dimensional work. 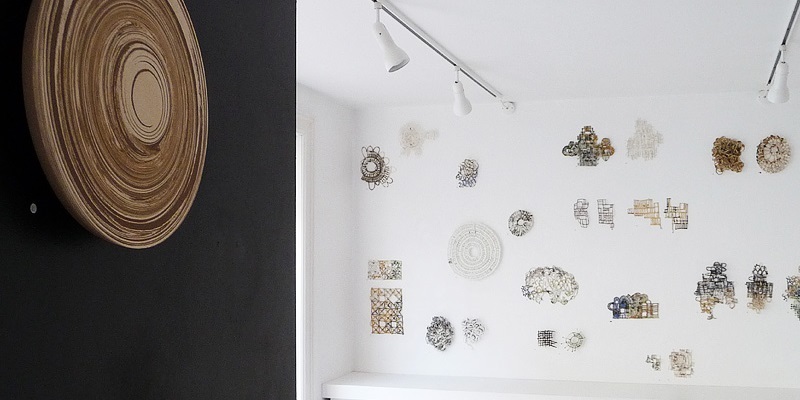 She constantly challenges herself and the viewer of her work. 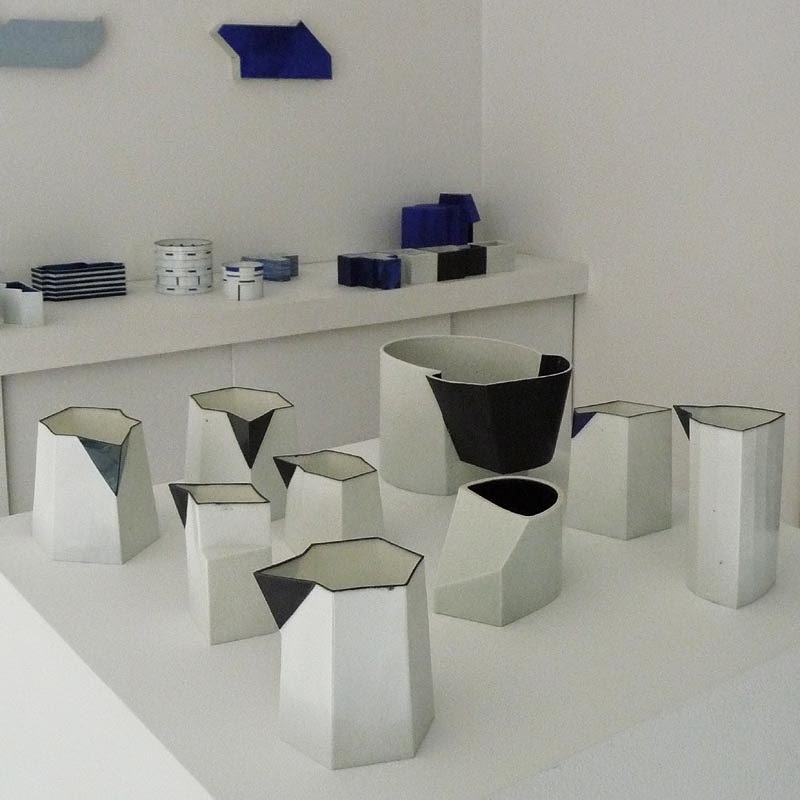 Bodil Manz is known for her subtle, abstract decorations on paper-thin simple forms. 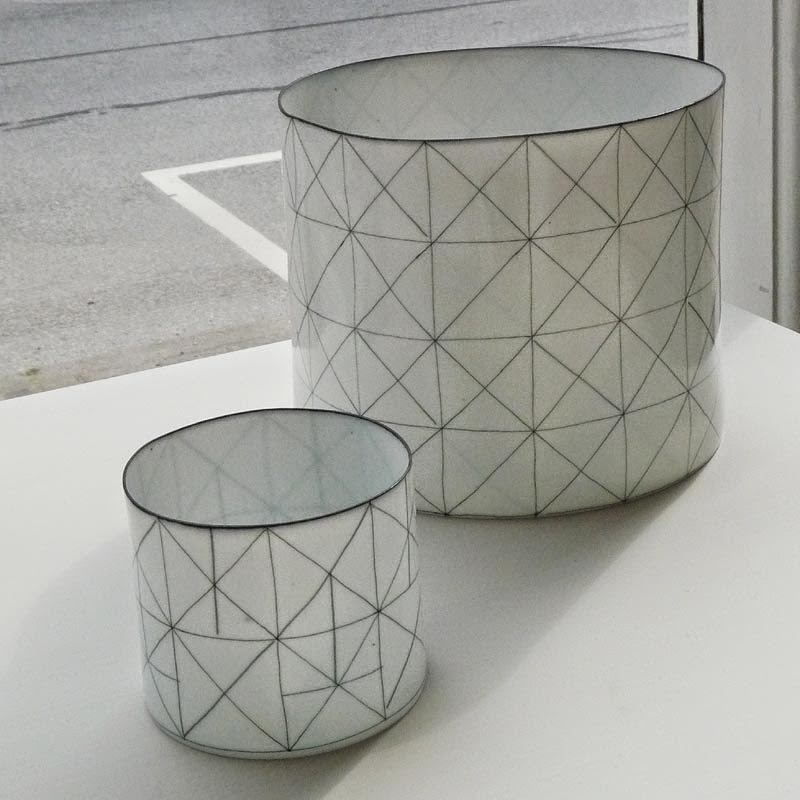 A detailed examination of transparent cylindrical and geometric shapes with fine colourful graphic lines and planes transforms surface decoration into three-dimensional pieces. 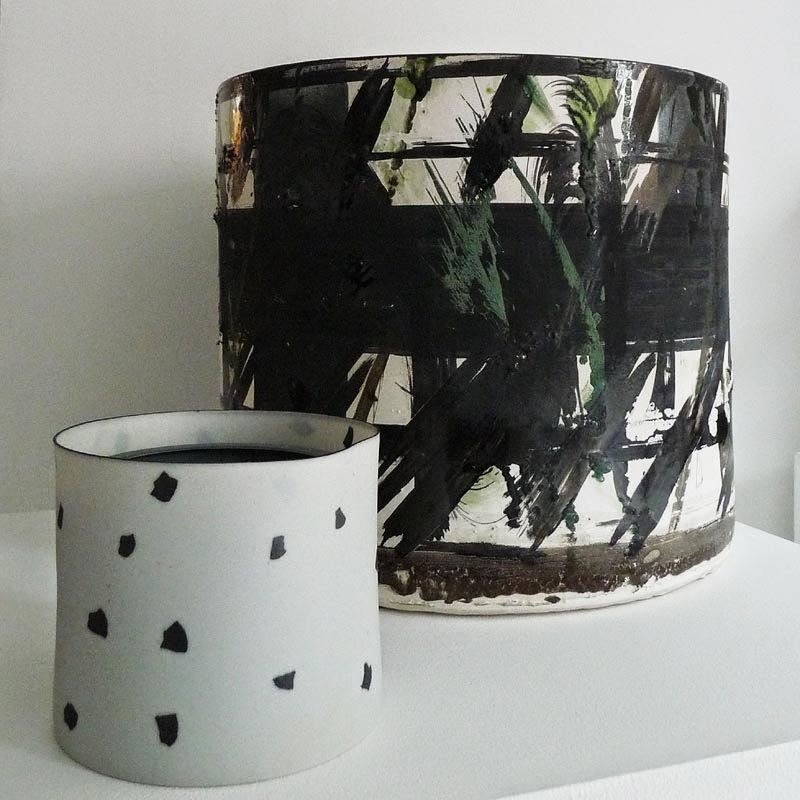 The cylinders, developed since 1990, are diverse in size and character, some smooth and others in relief applied decoration in coloured ceramic transfer prints that during the the firing process melt into the porcelain. 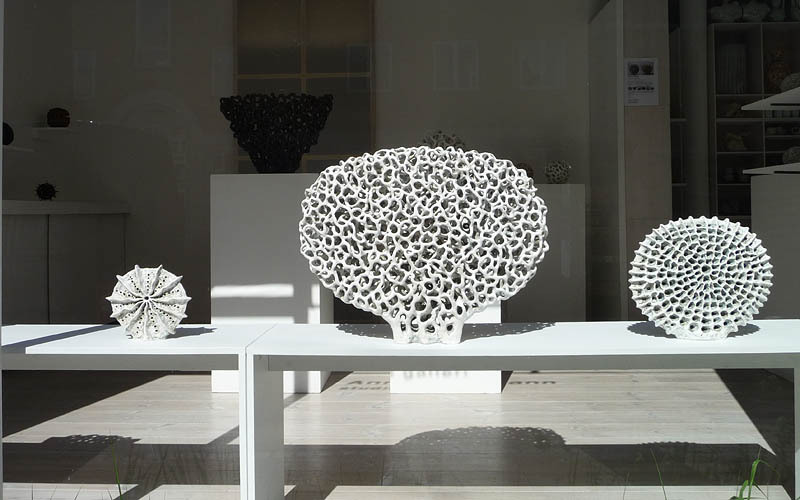 The transparency of the thin vessels causes the exterior and interior decoration to combine into one composition, a magical image. 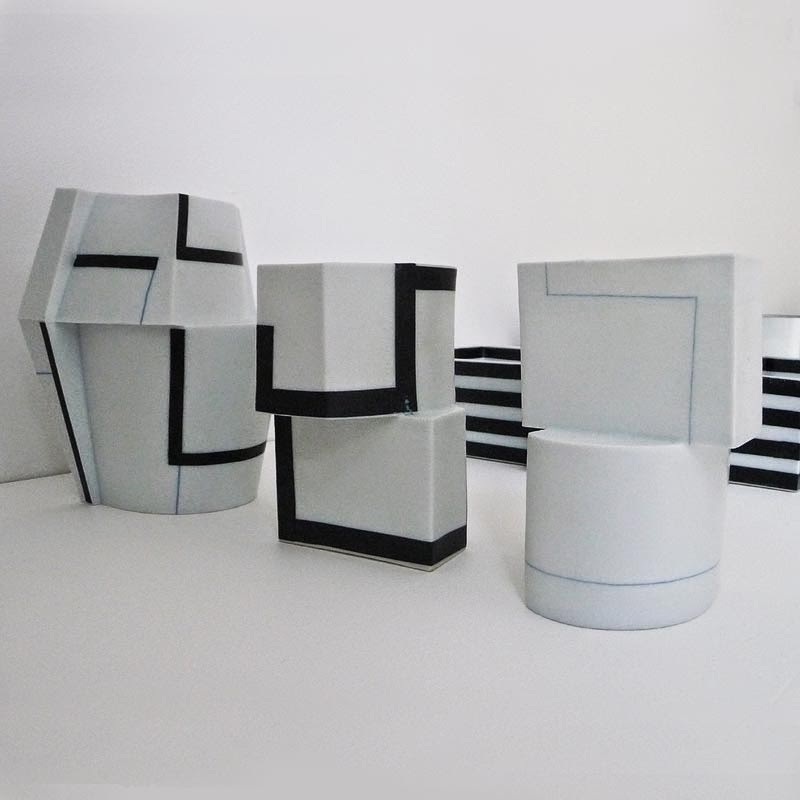 The paper-thin and transparent cylinders stand as a highlight, but throughout her career, Bodil Manz has experimented and pursued complementary challenges in expression and technique, working with the full range from her early years of expressionist works, studio and industrial production of objects to ceramic commissions and 'panels' in plaster and sand-cast porcelain. 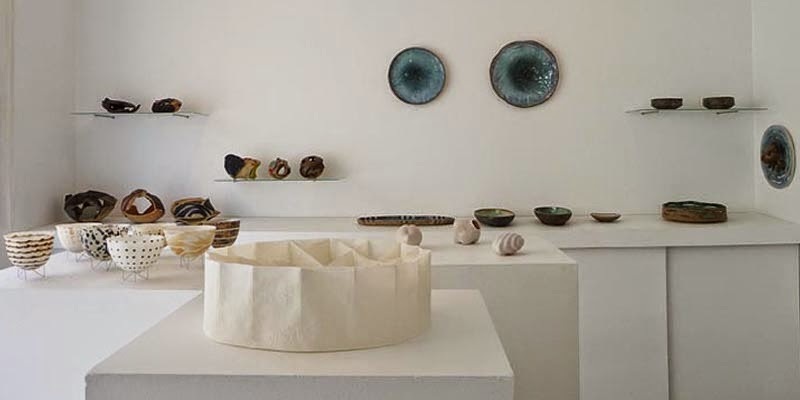 She is a master of creating fragile vessels of personal strength, identity and poetry, and performs again and again with excellent results from new ideas and unusual aspects of her oeuvre. 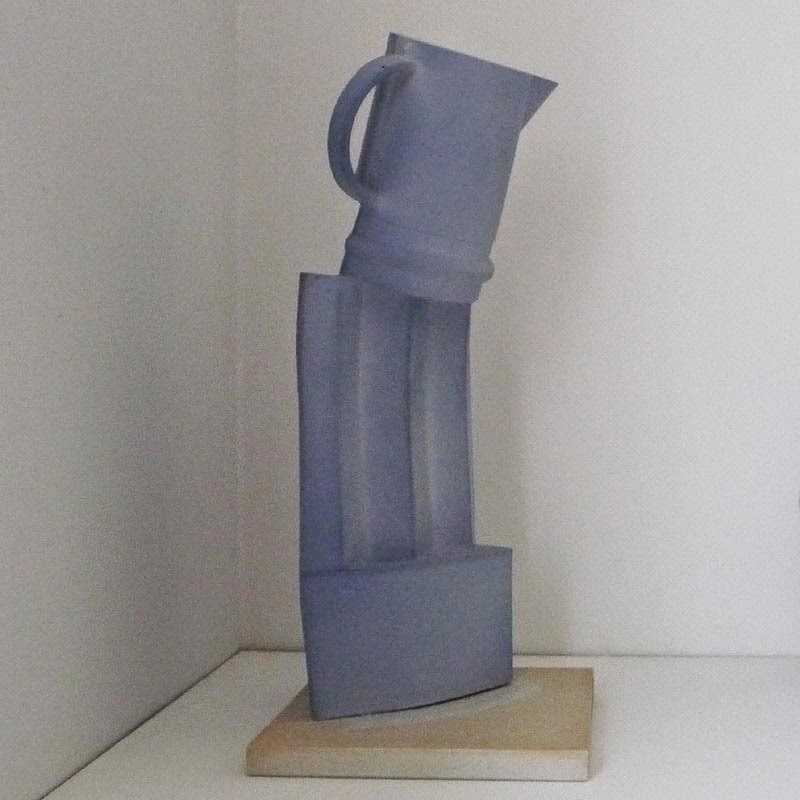 Fragility and transparency are characteristics of some of the works, functional elegance and geometric ingenuity or sensual raw material and shapes contrast to others. 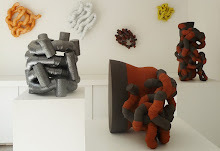 In recent years, her constant exploration of the possibilities of the material has also resulted in the re-use of previous form elements combined and assembled into new sculptural pieces. 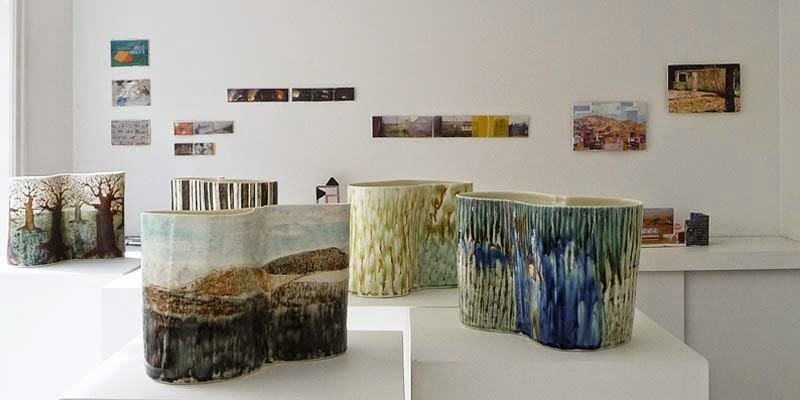 Bodil Manz comes from an Art & Craft's background and has maintained a close relationship to the ceramic texture and reference to 'the vessel', the container, but she has throughout a long and actively experienced life developed the tradition of function further into a unique sculptural and personal level. 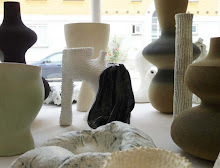 The pieces express strength because of their respective character related to their creator, her passion and areas of interest, her curious ingenuity, technical methods and material knowledge. 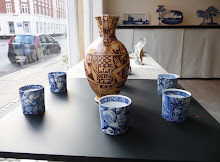 In 2008 at the Design Museum Denmark (formerly The Danish Museum of Art&Craft), it was time to create an overview of the artist's rich ceramic career. 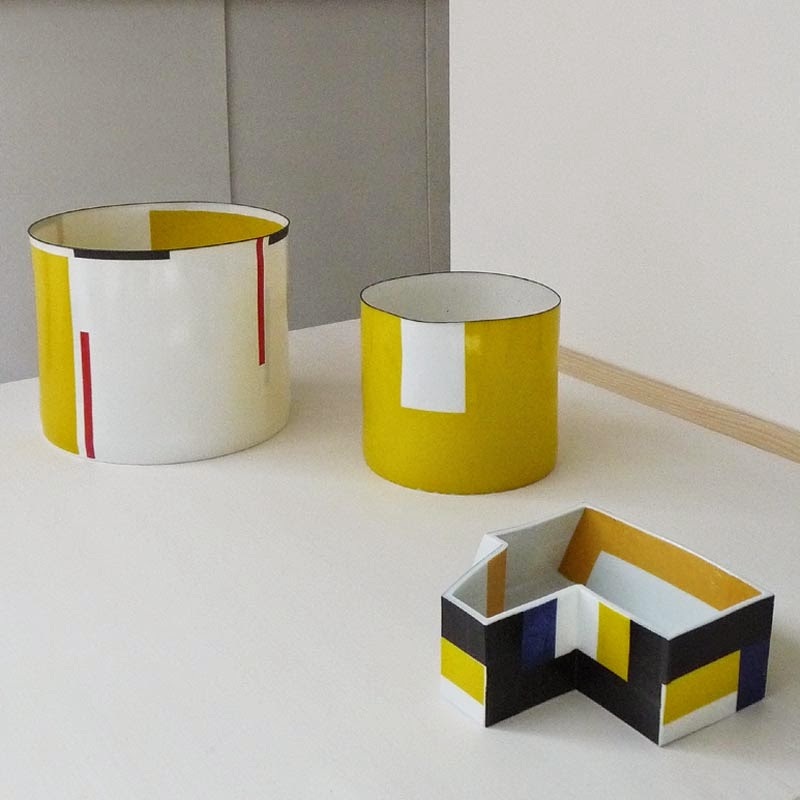 The exhibition highlighted the full range of Bodil Manz' work from her early years of expressionist works to recent year's cylinders with geometric, abstract graphics, 'Transparent Zen'. 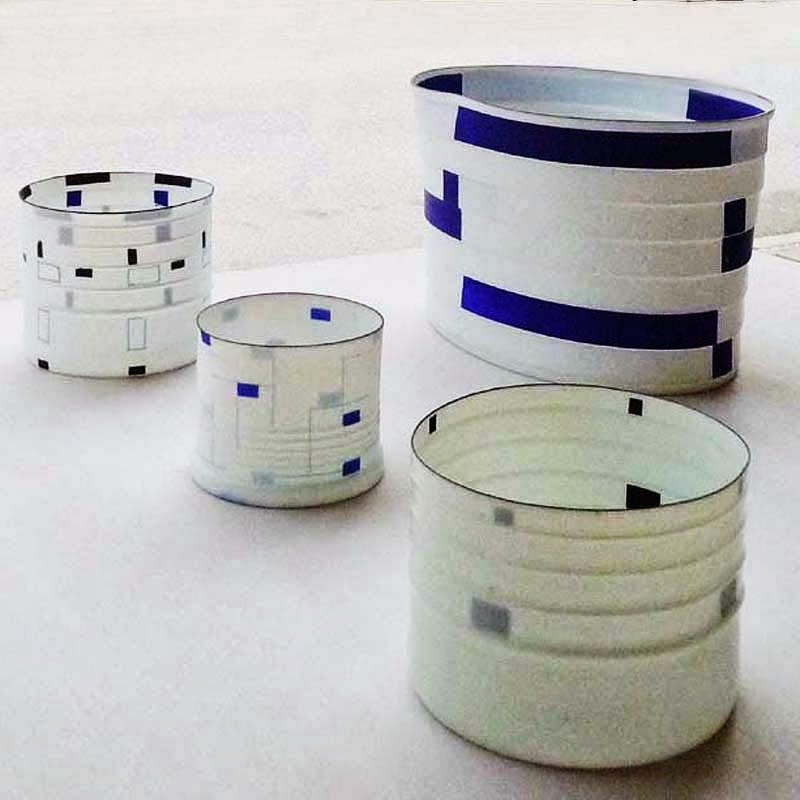 Bodil Manz has for 40 years developed a mastery where the paper thin and transparent cylinders stand as one of the highlights. 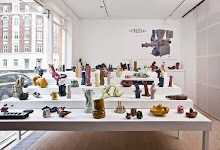 The exhibition covered her entire ceramic field from studio and factory production of everyday functional ware to ceramic commissions and magical one-off pieces. 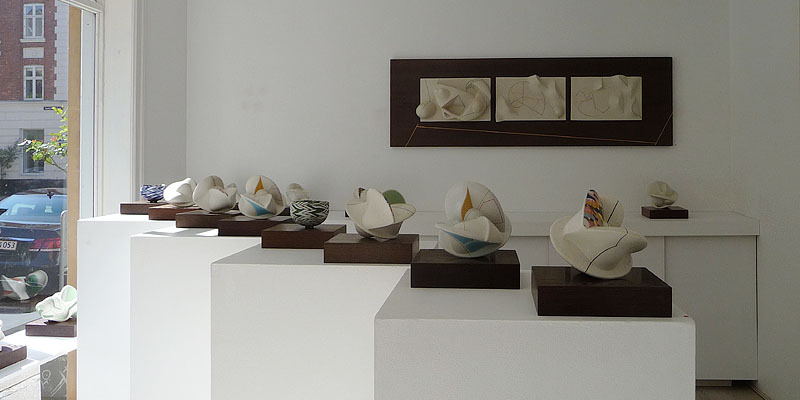 She experiments and is still looking for new challenges in expression and technique from the panels in plaster, sand-cast porcelain and handmade paper for large geometric works. 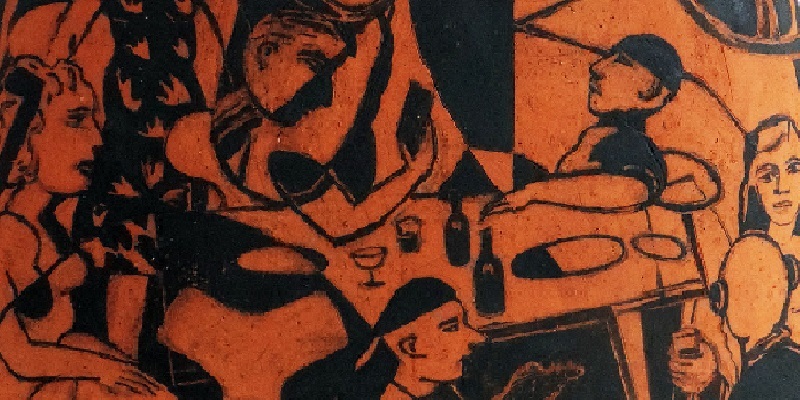 "Artistic quality is always there when someone is truly passionate investigating something." 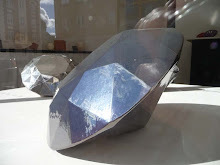 The quote is from an interview with Bodil and Richard Manz in 1993. 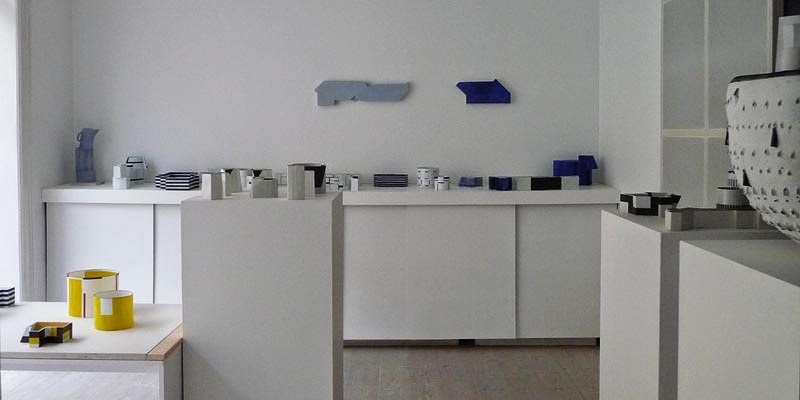 Publication of the book 'The Ceramist Bodil Manz' - New Nordic Publishing Arnold Busk, ISBN 978-87-17-03957-5. 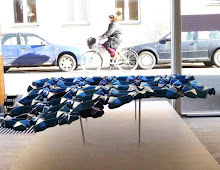 230 pages, illustrated, Danish and English. 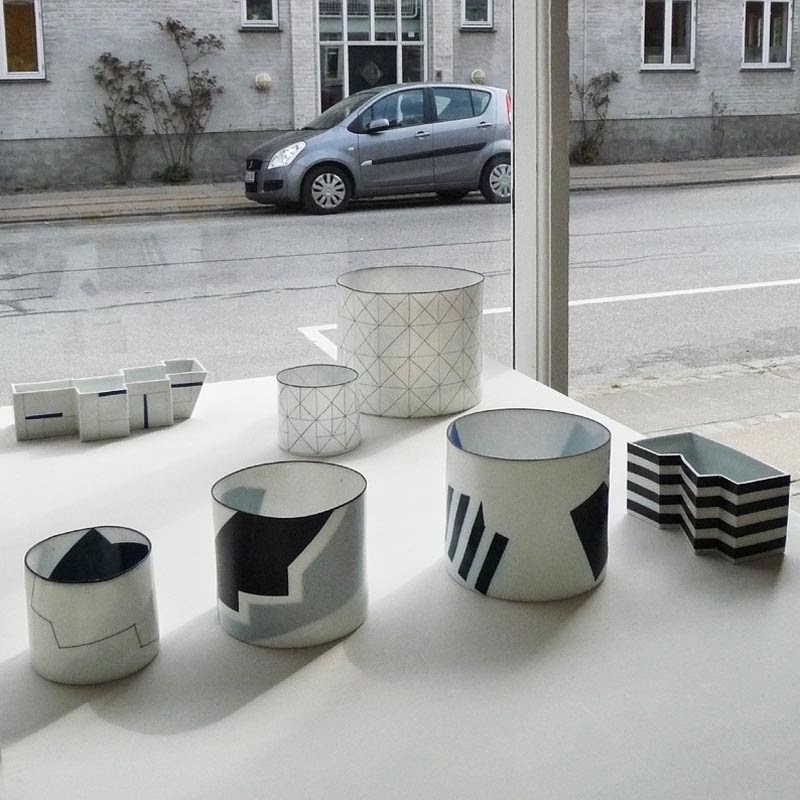 For the exhibition CUTS AND INTERVENTION: Bodil Manz and Bente Skjøttgaard at Copenhagen Ceramics 2012, Bodil Manz decided to examine her own ceramic history. 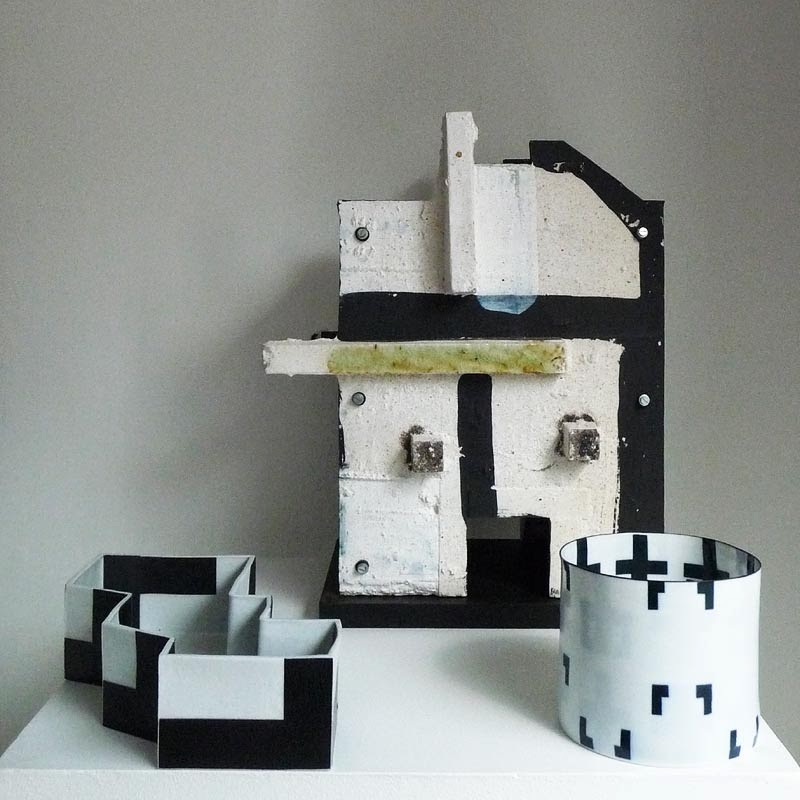 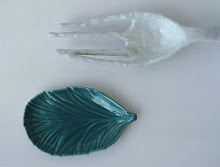 She took apart her moulds used for previous works, recycled and reinterpreted these forms and tools for new pieces which were then assembled with new mouldings, as a kind of track of her workshop through time. 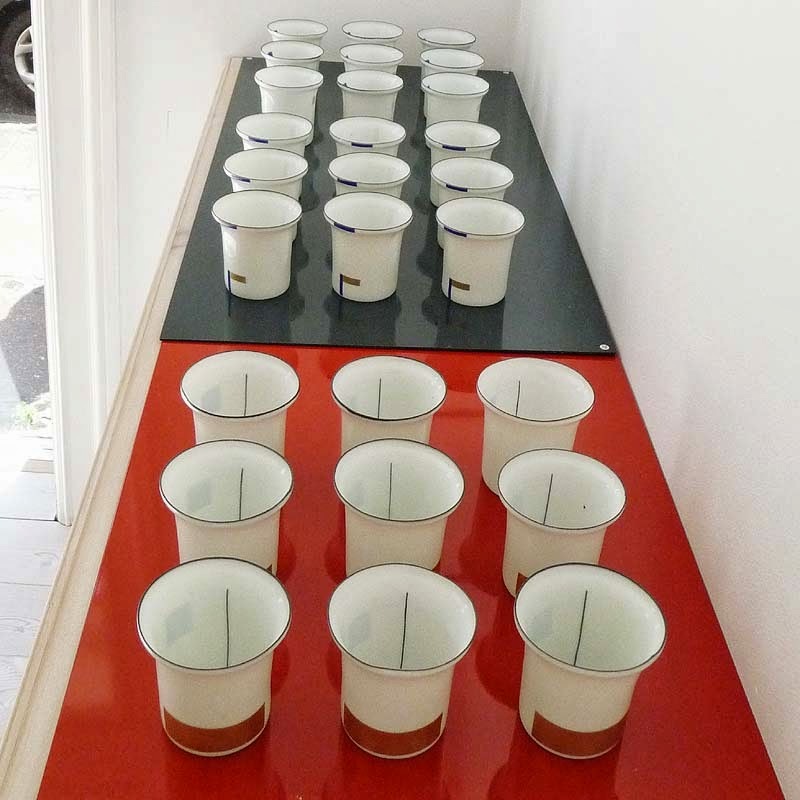 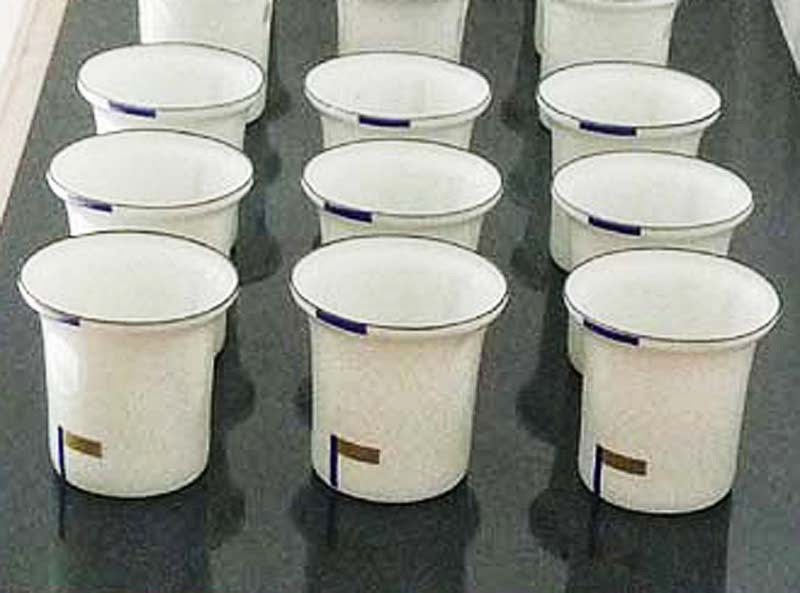 The exhibition FRAGILE in Ann Linnemann Gallery 2012 presented Bodil Manz' sets of cups with graphic compositions that was shining through the porcelain and magically revealed a new expression and tone for each new point of view. 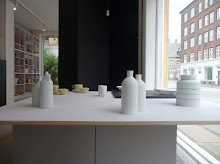 This exhibition also showed ceramic pieces by her Danish colleagues Jane Reumert, Malene Müllertz and Heidi Hentze. 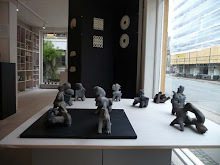 Bodil Manz has travelled extensively since her graduation from the Danish School of Applied Arts in 1965, from the Escula the Disefio y Artesanians in Mexico in 1966 and the University of California, Berkeley in 1967, where she worked with the great American expressionist ceramist Peter Voulcos, to Bahrain, China and Korea. 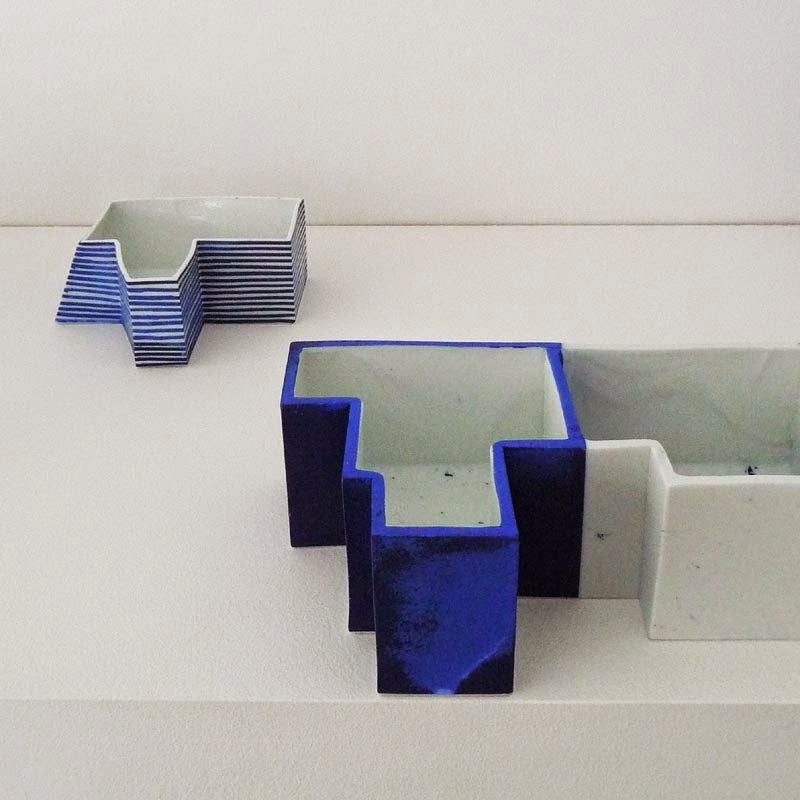 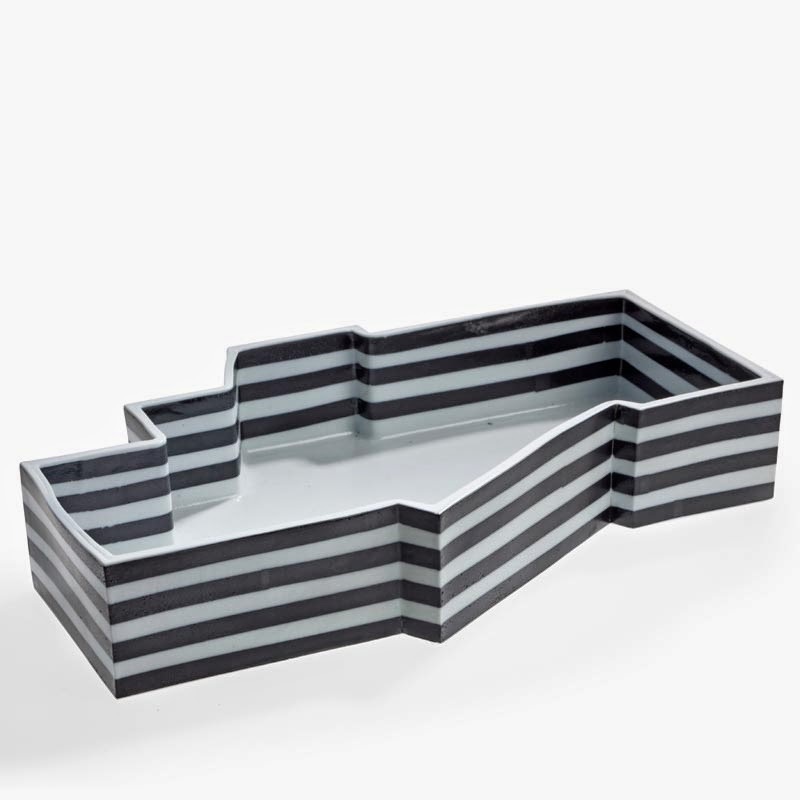 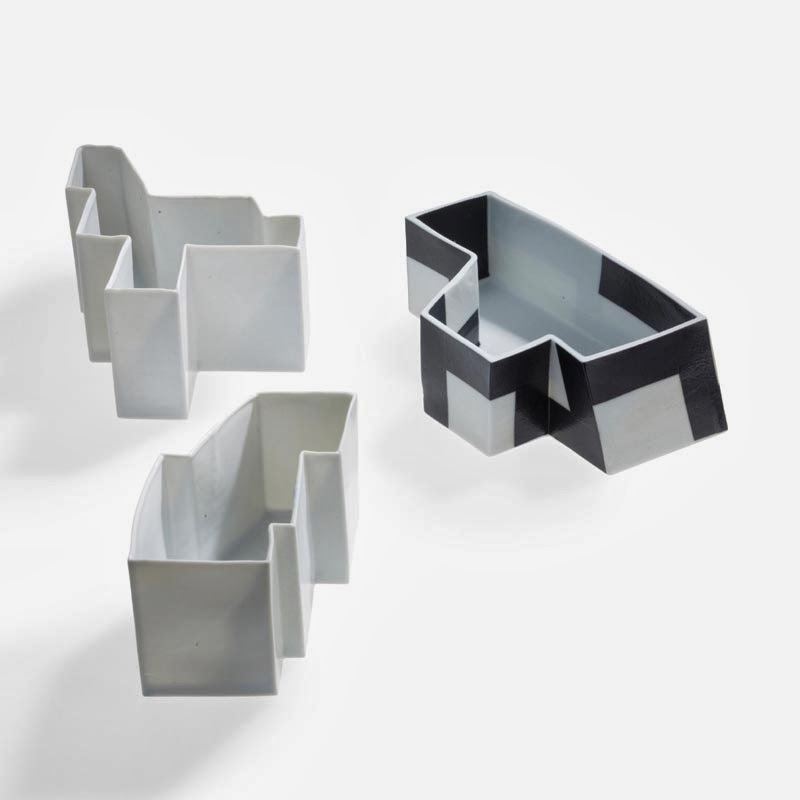 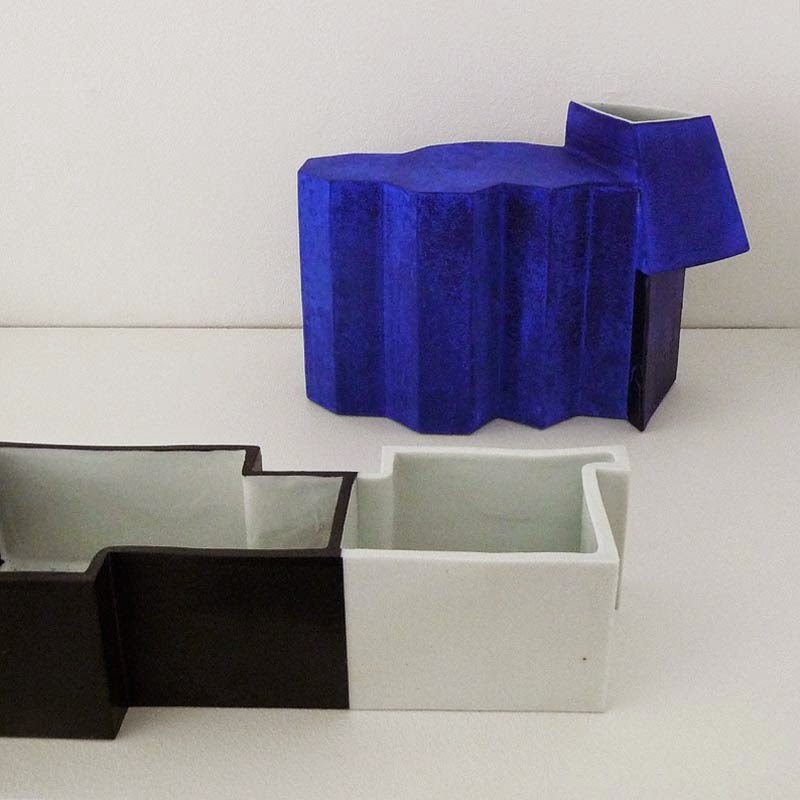 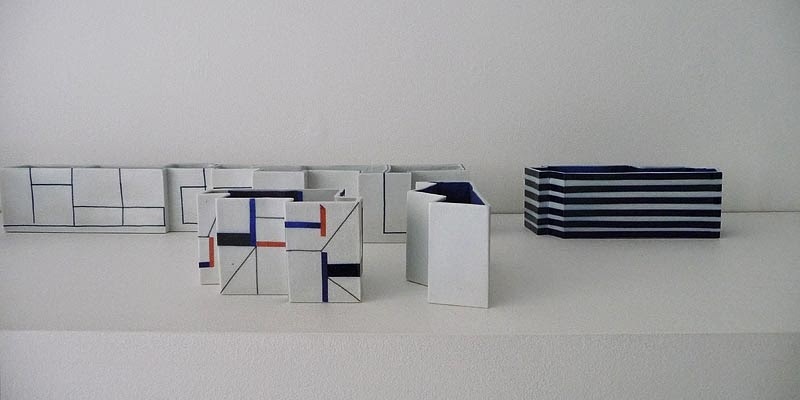 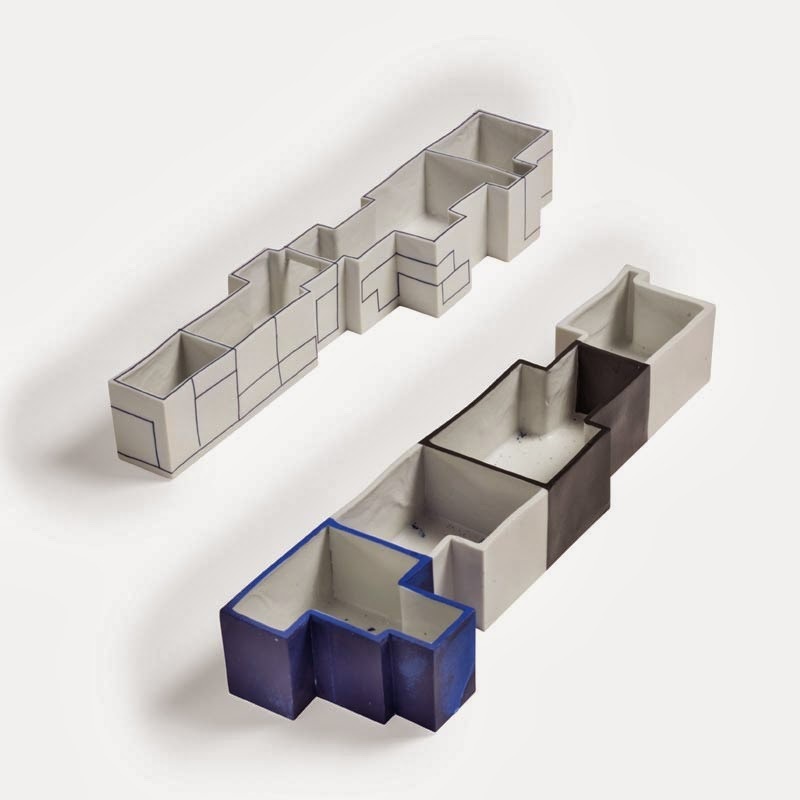 After the meeting with Richard Manz (1933-99) at the Gustavsberg porcelain factory in 1967, they established a studio and collaborated on major commission assignments such as the Farum Swimming Pool (1978-79) and the National Museum of Bahrain (1987-88), and a production of utilitarian objects in porcelain and stoneware. 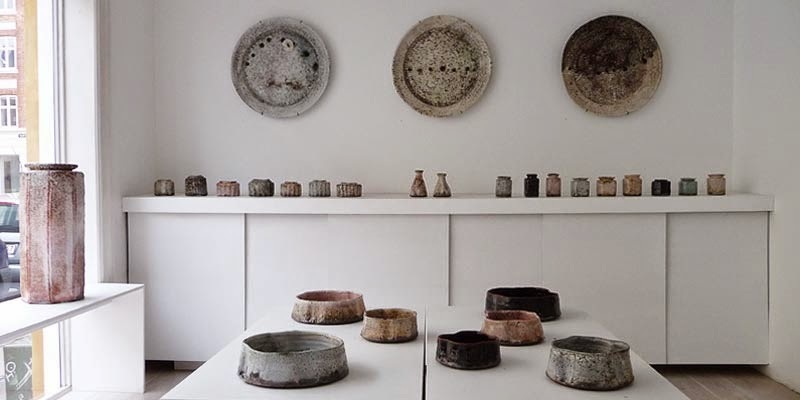 Among the many awards she has received are the Thorvald Bindesbøll Award in 2001, Danmarks Nationalbank's Anniversary Foundation's honorary award in 2010, and in 2007 the Grand Prize, 4th World Ceramic Biennale 2007 Korean International Competition. 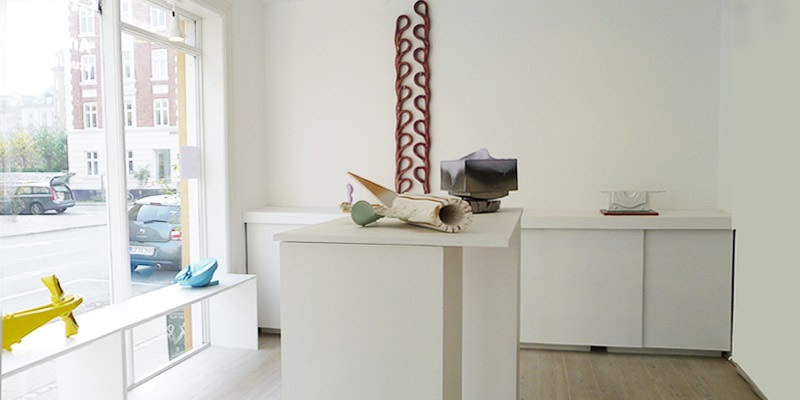 She has shown numerous exhibitions in Denmark and abroad. 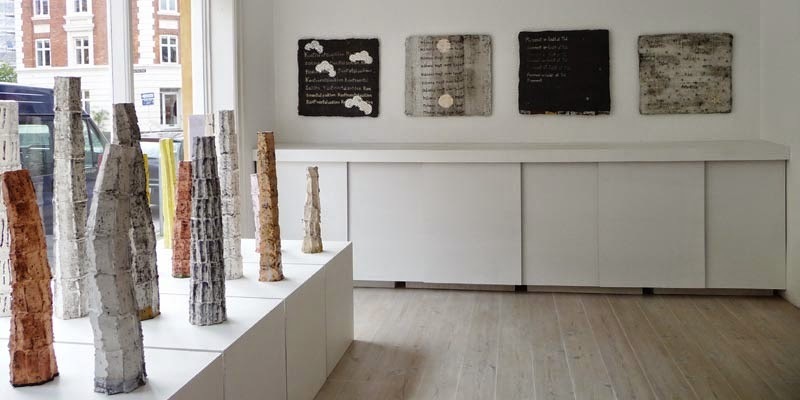 She is a member of the Danish exhibition group 'Ceramic Ways' and the International Academie de la Ceramique, IAC.